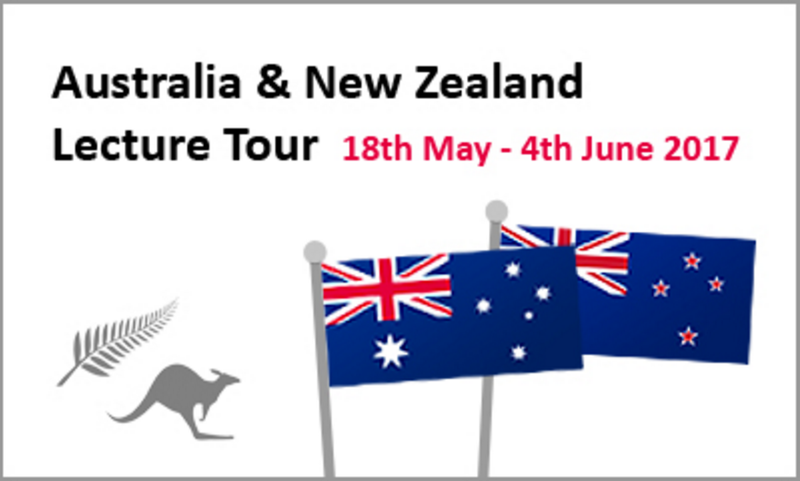 Join Fintan Mullan and Gillian Hunt from the Foundation during their forthcoming Australia & New Zealand lecture tour to learn how to get the most out of Irish resources and records, gain strategies for breaking down brick walls, and grasp important historical context that may help fill in gaps in your research. Thursday, 18 May - Wellington, NZ (1:00pm-3:00pm and 6:00pm-8:00pm) - Places Still Available! Location: Loaves & Fishes Hall @ Wellington Cathedral of St Paul, 45 Molesworth St, Thorndon, Wellington 6011, New Zealand. Entrance to Hall is in Hill Street. Pre Booking is essential: contact jenmartin@paradise.net.nz for bank details etc. Registration will be confirmed after your registration and payments have been received. Other Information: $20 per session. There will be two sessions, with two topics each. There is seating for 100 people in the venue. Transport: Bus and Rail five minute walk to Venue. Sunday, 21 May – Dunedin, NZ (10:00am–5:00pm) - Places Still Available! Entrance is through library car park. Other information: £20 per person. Refreshments are included, but you must bring your own lunch. Tuesday, 23 May – Wanaka, NZ (1:00pm–5:00pm) - Places Still Available! Note - This event has moved to Glover Cottages, 124 Kent Street (next door to Richmond Villa). Access is via the driveway next to the firestation. This is a single storey building and there are no stairs. Other information: Bookings essential: $55 members, $70 non-members. SAG are currently looking to move this event to a nearby venue due to its popularity so please put your name on the wait list so you can be notified if this happens. Saturday, 27 May - Sunshine Coast, QLD (8:00am–3:30pm) - Places Still Available! Other Information: Cost is $40 per person for the full day - morning and afternoon tea are provided. Lunch will be available for $5.00 per person. Bookings are advisable. EFTPOS available for payment. Cash or cheque acceptable. Please make cheques out to Genealogy Sunshine Coast. Direct deposit via bank transfer is available. Details will be sent via email when booking and we will acknowledge receipt of funds and issue a receipt. Other information: $40 members of WAGS or Affiliated Societies. $50 non-members. Excludes tea, coffee, snacks and meals. Payment: Send your completed form with payment to WAGS at 6/48 May Street, Bayswater 6053. Registration forms can be posted or dropped in to WAGS. You can pay by credit card, cheque (payable to WA Genealogical Society Inc.), in person by cash at WAGS in Bayswater. Your registration is confirmed only after your registration and payments have been received by WAGS. Other information: Bookings is essential $45.00. Payment in full before 23 May. A box lunch is available for an additional $10. It must be ordered and paid for on the day. Or BYO lunch if desired or you have special dietary requirements. BYO lunch. Morning & afternoon tea will be provided. Bookings open April 3 (New GSV opening date). Directions to venue on GSV website after April 3 or in Blarney May 2. Saturday, 3 June, NZGS Auckland, NZ (9:00am–6:00pm) - Places Still Available! Alternatively if you would rather pay by cheque then Download a Registration Form and post it with your cheque to Conference 2017, NZSG, PO Box 14036, Panmure 1741. Or you can register and pay at the FRC in Panmure. Note: The Celebrating 50 Years of the New Zealand Society of Genealogists will actually run from 2-5 June 2017 over the Queen’s Birthday Weekend. The Foundation’s staff will present their Irish programme on Saturday, 3 June 2017. Sunday, 4 June, Auckland, NZ (evening lecture 7:00pm – 9:00pm) - Places Still Available!